ILLEGAL gold dredging operations have ceased in the midtailings region of Panguna, according to an official. Autonomous Bougainville Government Minister for Minerals and Energy Resources Robin Wilson told The National that the operations of Jaba Resources Limited in the area were not compliant with the Bougainville Mining Act 2015. This resulted in the company being instructed to cease operations in December last year. 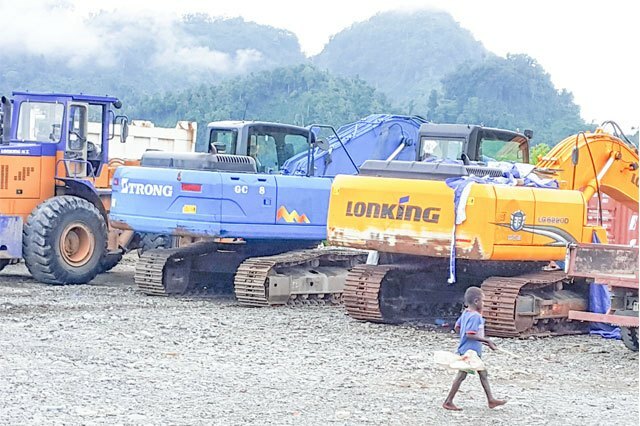 “This company’s operations came about as a result of the Bougainville Executive Council approval of a proposal for a brick production and gold extraction project submitted under the Department of Economic Development in August 2015,” Wilson said. “On inspection of the site, and given the nature of the operations, it is clear that Jaba Resources Limited needs to be the holder of a small-scale mining lease under the Bougainville Mining Act 2015 for its operations to be lawful. “Even if no metalliferous minerals such as gold were being extracted, Jaba Resources would still need to be the holder of a quarry lease. There are obviously other requirements under National laws as well, such as environmental approval. “On the basis that the Jaba project has not complied with the relevant laws, the Executive Council has rescinded its decision to support the project.